I bought my first quilted nylon jackets for the kids about three years ago and they have become indispensable wardrobe staples ever since. They are perfect spring/fall coats (or winter coats, if you live in Phoenix like I do!) and look great with either casual or dressier clothes. 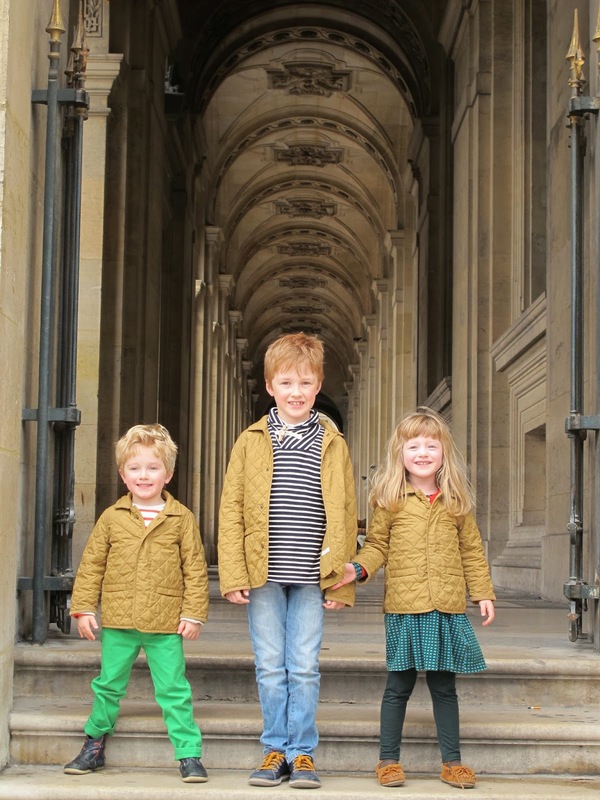 The three hunting jackets above are currently 50%-60% off at Petit Bateau. They are in the $46-$54 range (oddly, the baby sizes are the most expensive) which is a little high still, but amazing for Petit Bateau. You can bet that the quality of these will be excellent and I love the colors. Other good sources for quilted jackets like this are, historically, J. Crew and Olive Juice. In fact, Olive Juice often carries its version, called the Monroe topper, well through the end-of-season clearance sales where you can sometimes find it for as low as $15! Unfortunately, they did not make this style in the fall. Let's hope they bring it back! I did a quick search and did not find any other good current alternatives (J. Crew's boys' barn jacket is currently full price). Please leave a comment if you know of another source!